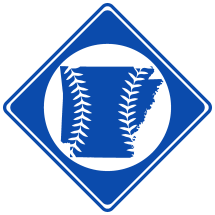 Gene Bearden Stadium, formerly known as Recreation Park or North Helena Park, is a baseball park in Helena, AR and was the home field of the Helena Seaporters from 1935-1941 and from 1947-1949. It is also the current home of the Helena-West Helena Central High School Cougars baseball team. The field is located at Cleo-Dunnings/North Helena Park in north Helena, AR. Recreation Park has recently undergone renovations and has been renamed Gene Bearden Stadium in honor of Gene Bearden, a former major league baseball player from Lexa, AR, a city right outside of Helena. The grandstand presently on the site, which has been built more recently, seats about 500. The outfield fence posts, likely original to the ballpark. The field first hosted professional baseball in 1935. In 1936, the field underwent $15,000 dollars worth of renovations by the Works Progress Administration, which included enlarging the grandstand and adding new bleachers to increase the field’s capacity to 3,500. The parks’ previous capacity is unknown. On April 8th, 1937, the New York Giants and Cleveland Indians played an exhibition game at Recreation Park, a game that Cleveland won 5 to 3. Among the players who participated in the game were Hall of Famers Earl Averill, Mel Ott.